Investors may be eligible for sales tax exemptions, like-kind exchanges and other advantages, one expert says. How to reap the tax benefits of coin collecting. Besides being an enjoyable and potentially profitable activity, collecting rare coins can provide investors tax benefits, according to some experts. Armen R. Vartian, an attorney in Manhattan Beach, California, discussed the tax advantages of such collectibles recently in a specialty publication. One advantage that has an immediate impact on coins’ cost is that purchases from local dealers can be exempt from state sales tax, he explains in “Rare Coin Wholesalers,” based in Irvine, California. This can translate in substantial savings for residents of states with sales tax rates in the high-single digits. The exemption has a practical value, as well, Vartian points out: Instead of buying from an out-of-state dealer to avoid local sales tax, collectors can work with dealers located in their own state. The reason for the exemption is that rare coins are considered “monetized bullion,” Vartian says. The exemption applies if the coins are purchased in a single invoice in amounts over $1,000 or $1,500, depending on the local tax laws. Real estate investors are familiar with IRS Code Section 1031 “like-kind” exchanges that allow property owners to trade appreciated properties without triggering a tax liability. Coin collectors also can make Section 1031 exchanges, but as with real estate, the key to tax deferral is complying with the regulations. Investors can exchange rare coins with rare coins, and bullion coins with bullion coins, says Vartian, but they can’t mix and match on the exchange. 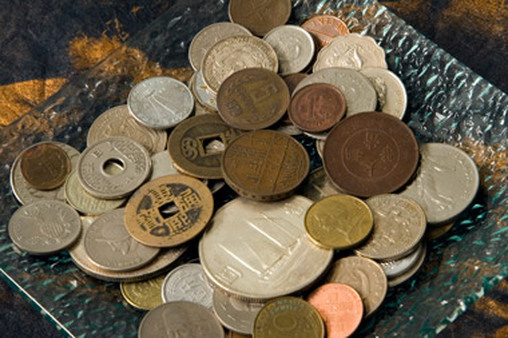 Coin collections can generate expenses, such as grading fees, insurance, security, journals and travel to conventions, among other costs. The treatment of these expenses depends on whether the owner is a collector, investor or dealer, Vartian explains. The IRS considers collectors to be “hobbyists” who collect for enjoyment; their ability to claim expenses is limited, although they are liable for taxes on gains. A collector buying primarily to make a profit might qualify as an investor, which allows for greater flexibility in deducting expenses against gains. The key, Vartian stresses, is meeting several qualifying conditions. These include showing a profit on trades for three of the past five years, consulting with experts when buying and being at risk for losses during the year. Coin dealers, who buy and sell as part of a trade, pay taxes on gains at ordinary income tax rates. While that rate can be higher than a collector or investor’s rate, dealers may deduct their expenses and net losses from coin sales against their other (non-capital gain) income, Vartian notes. Given the frequent reports of data security breaches, it’s understandable if a coin investor is hesitant to share personal information, such as a Social Security number, when selling to a dealer. In some instances, there is no requirement for the dealer to file a Form 1099 with the IRS. Sales of rare coins—pre-1933 gold coins, for example—don’t require the form. Modern gold coins might or might not be subject, Vartian explains, depending on the quantities involved. The filing rule is complicated so your client will want expert advice before selling. More details on Vartian’s perspective and rare-coin collection are available online. Check out How to Cash In on Rare Coins on ThinkAdvisor.